Hi everyone.. Today I'm part of a fun Blog Hop for Right at Home. 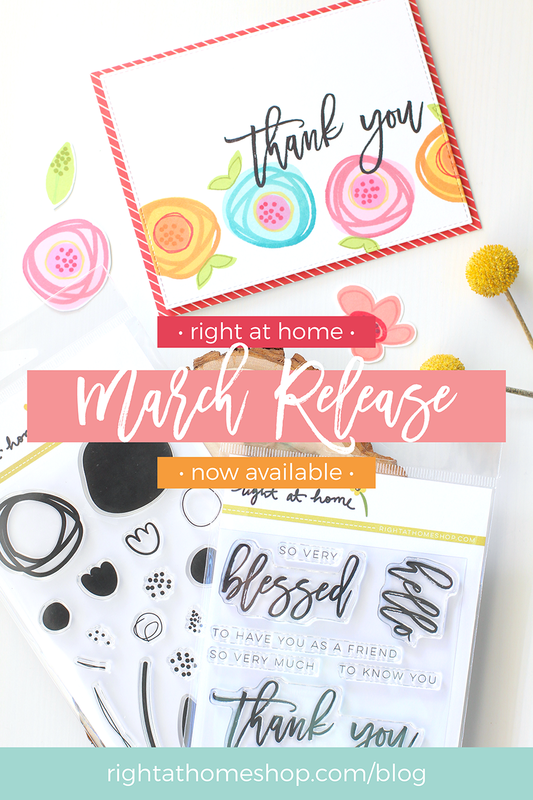 Nicole's Newest release is now available in the shop and you are going to love it! 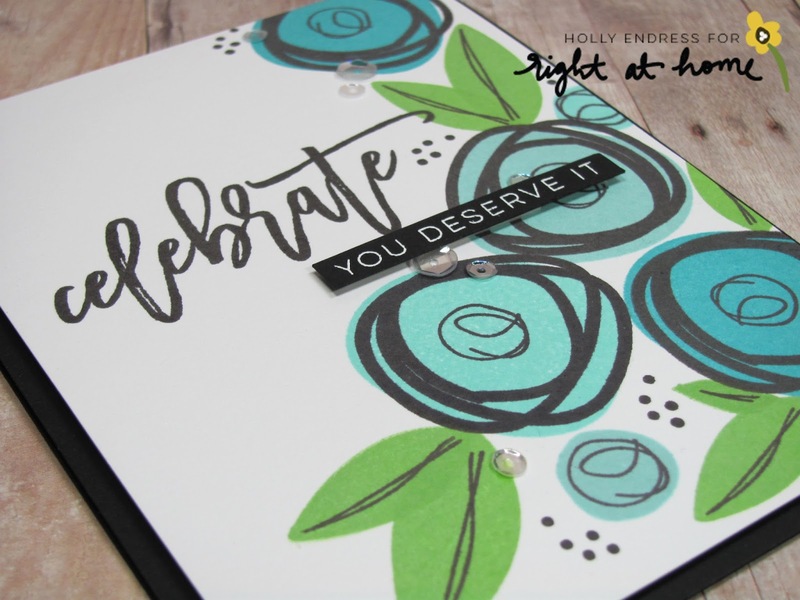 Im using the Abstract Flowers and Script Greetings sets along with inks from Lawn Fawn. I started by building the Flowers onto a White panel layering different images in the set. Then I stamped the sentiment from Script Greeting in Black ink. I stamped the smaller portion of the sentiment onto a piece of Black card stock and heat embossed it in White and adhered it over the center with some Foam adhesive. I attached the panel to a Top folding Black card base. I wanted a pop of Sparkle so I added some Sparkling Clear sequins from Pretty Pink Posh. 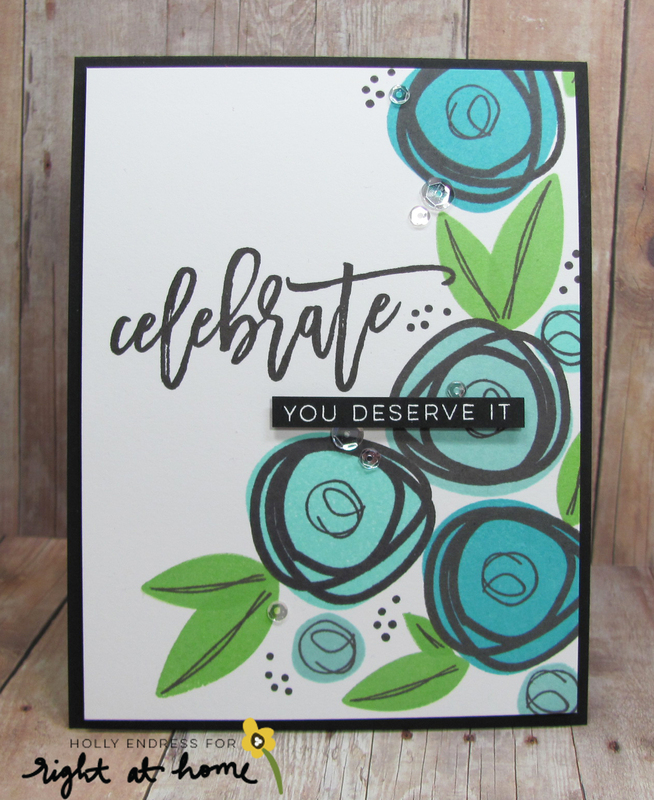 I used some of the new Lawn Fawn inks and a few of the previous colors for the Flowers.. I used Merman, Mermaid & Peacock.. along with Freshly cut Grass and Black Licorice. This is a gorgeous color combo. 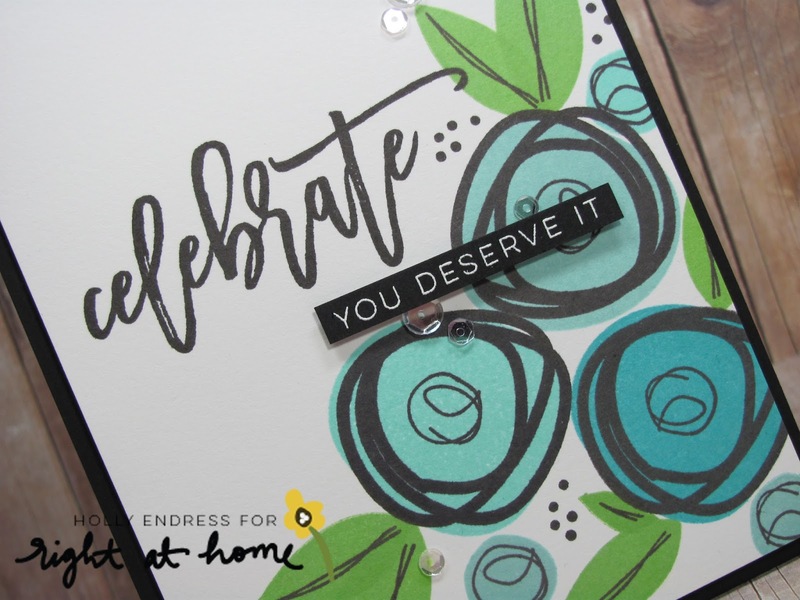 We are hopping today and you have a chance to WIN a Script Greeting set of your own .. Just leave a comment on each stop along the Hop and Nicole will pick a Winner at the end of the Week! Next in the Hop is Carson.. at Pine & Plum! You can start from the beginning of the Hop at the Right at Home Blog if you are just starting out. Thanks for stopping by! Soooo pretty! Love the colors you used! Gorgeous card! I really love these bold flowers! Holly, your showcase of the whimsical abstract flowers has planted a smile alllll over my face! Colours, layout, the sentiments...sheer delight! Thank you! A beautiful card...... and a fantastic blue/green color combination! Saw this on Instagram... LOVE the color choices!!!! Great card! Love the bold graphic feel of the flowers! I love this gorgeous aqua/teal color combo! That scripty "celebrate" is so pretty! I would be reaching for that sentiment set often. Love these gorgeous cards! The colors are amazing! I love what you have created with these adorable stamps!! Gorgeous card! Your composition is perfect! love your colors on the card... awesome. Love this card! It is beautiful! Love the bolder colors! Awesome card! Beautiful card! Love the colors and the flowers are fabulous!